Ireland’s justice minister has resigned over a critical report concerning allegations by a police whistleblower. Alan Shatter offered his resignation to the Irish premier, Enda Kenny. Shatter, who is also minister of defence, told Kenny: “It is my judgment that the only way in which such controversy can be avoided is by my offering you my resignation from cabinet. “It has been a particular privilege to serve as both minister for justice and equality and also minister for defence. His resignation comes before the publication of the report on Friday that is expected to be highly critical of Shatter’s handling of whistleblower claims. Kenny announced the news of Shatter’s resignation to the audible gasps of members of parliament. (RIGHT PIC.) Blaise O Donnell, daughter of solicitor Brian O Donnell, pictured leaving the Four Courts yesterday after a Supreme Court action. Gorse Hill, Killiney: owned by a company, Vico Ltd, which in turn was wholly owned by a trust set up for the benefit of the couple’s four children. Bank of Ireland has denied claims it “turned a blind eye” when solicitor Brian O’Donnell provided the family’s luxury home in Co Dublin as security for loans taken out by himself and his wife although that property was not owned by them. The property at Gorse Hill, Vico Road, was owned by a company, Vico Ltd, which in turn was wholly owned by a trust set up for the benefit of the couple’s four children and from which their parents were excluded, Ross Maguire SC, for the children, told the Supreme Court yesterday. The Bank of Ireland knew of the existence of the trust from at least 2000 and should have made inquiries in 2006 when Vico Ltd guaranteed Gorse Hill as security for the loans, counsel said. That guarantee amounted to a “fundamental breach of trust” and, had the bank looked, it would have found the parents were not beneficiaries of the trust. Mr Maguire was continuing his arguments on behalf of the children – Blaise, Blake, Bruce and Alexandra O’Donnell – in their appeal against a July 2013 High Court finding the bank was entitled to possession of Gorse Hill. The bank wants possession as part of its efforts to enforce a €70 million judgment obtained in December 2011 against Brian and Mary Patricia O’Donnell arising from unpaid loans. The house and land is worth €6-7 million. Opposing the appeal, Cian Ferriter SC, for the bank, said there was evidence to support the High Court’s findings Vico Ltd acquired full legal and beneficial title to Gorse Hill in 2006 and that, while the children were entitled to a beneficial interest in shares of Vico Ltd, the trust held shares, not any interest, in Gorse Hill. There was no evidence to support the claims the bank knew, when it obtained the guarantee over Gorse Hill, the security amounted to a breach of trust, he said. The appeal continues before the five-judge court. 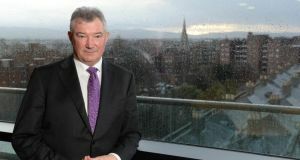 David Duffy, CEO AIB, welcomed the European Commission’s approval of the bank’s restructuring plan and said that the bank “remains focused on delivering against its strategic objectives, while supporting the ongoing recovery of the Irish economy”. Allied Irish Bank must set targets for cost reductions and abstain from acquisitions until the end of 2017 under the terms of a new restructuring plan, which was approved today by the European Commission. 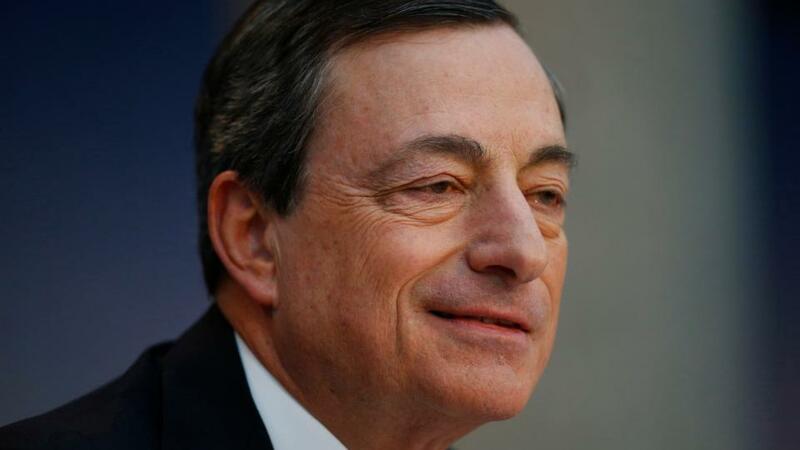 The plan, which is tied to the pillar bank’s €21 billion taxpayer rescue, will also see the bank distribute marketing material for competitors to ensure that competition in the market isn’t distorted as a result of its bail-out. A limitation on AIB’s total holdings of Irish sovereign bonds during the restructuring period will also apply, excluding those bonds issued by Nama. In a statement released today, Commission Vice President in charge of competition policy Joaquín Almunia said: “Today, the Commission closed an important chapter in the ongoing restructuring of the Irish banking sector. AIB is one of the two largest Irish banks. Its restructuring plan sets out the right measures for this bank to return to profitability without unduly distorting competition in the Single Market. 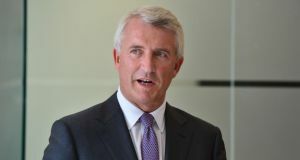 In particular, AIB will implement market opening measures over the next three years to attract new entrants to the concentrated Irish banking market”. In 2009, AIB and EBS received repeated State support in the form of guarantees, recapitalisations and asset relief. In 2011, when AIB and EBS were merged, the merged entity also received capital support. In September 2012, Ireland submitted a restructuring plan for AIB which was complemented by several additional submissions. Under the restructuring plan, AIB will operate as a smaller domestically focussed bank with an improved funding profile. The bank will increase its level of profitability “notably by enhancing the net interest margin and further curbing its operating expenses”. Finally, AIB will maintain a strong capital buffer during the restructuring period. AIB also has contingent capital instruments which can be converted into equity, if needed. These measures will enable AIB to return to long-term viability without further State support. The restructuring plan also includes a set of commitments which AIB will respect until the end of 2017. Those commitments comprise, among other things, targets on cost reduction and a ban on acquisitions. Moreover, AIB will operate “market opening measures” to facilitate the market entry of competitors, comprising a “services package” and a “customer mobility package”. Under the “services package” AIB will provide to competitors access to certain services, such as cash supply and distribution services, and access to market intelligence. Under the “customer mobility package” AIB will distribute advertising material on behalf of a competitor to its clients to promote customer switching. The commitments will ensure that the competition distortions brought about by the aid are limited. The amount of complaints made about dentists in Ireland could be reduced by around 40% if they and their patients communicated more clearly with each other, the Dental Complaints Resolution Service (DCRS) has said. It has published its second annual report, which provides details about the 130 complaints it dealt with last year. The DCRS is a voluntary service that offers an independent mediator service to patients who wish to make a complaint about their dentist. It is free of charge and while it operates independently of the Irish Dental Association, it does have the association’s support. According to its 2013 Annual Report, the service received over 1,200 letters and emails and over 250 phone calls last year, and dealt with a total of 130 complaints. Twenty-eight of these complaints were resolved during the year and 16 of the other 102 cases have since been resolved or are almost resolved. The majority of complaints made in 2013 related to fees, although a large number of complaints were also made about the standard of work received. Almost one-third of complaints related to dentists failing to communicate properly with their patient. “Communication failures remain the main cause of disputes. If the patient and dentist communicated clearly with each other about an issue it would reduce the amount of complaints made by about 40%. Dentists need to keep patients informed of the treatment plan and to deal with complaints promptly,” commented DCRS facilitator, Michael Kilcoyne. Some of the most difficult cases seen by the DCRS concerned crowns, bridges and veneers and of the 28 cases resolved in 2013, some of these results involved an apology by the dentist, a full refund, or further work carried out at no extra cost. The report highlighted that in many cases, a patient will come back to a dentist with a problems, but the dentist will not listen to them. It advises dentists to deal with complaints ‘immediately’ as the issue ‘is not going to go away’. It is also essential that the patient is kept fully informed of their treatment plan and the costs this will incur. Meanwhile, Mr Kilcoyne also expressed concern about companies that fit out a premises as a dental practice and then let it out to dentists. “There certainly needs to be tighter regulation of these kinds of businesses and they need to be liable in some way if the practicing dentist carries out work of a sub-standard nature and then vacates the premises. In these circumstances, the patient has very little comeback” he pointed out. A person’s true age can be discovered simply by shaking hands, researchers claim. Scientists found hand-grip strength correlated with known markers of ageing such as disability, mental decline, recovery time after hospital treatment, and death. They believe a “handshake test” could be used as a viable test for biological age. “Hand-grip strength is easily measured and data on hand-grip strength now can be found in many of the most important surveys on ageing worldwide,” said Dr Warren Sanderson, a member of the team from the International Institute for Applied Systems Analysis (IIASA) in Austria. The research, published in the online journal Public Library of Science ONE, reviewed findings from more than 50 studies looking at people of all ages from around the world. It found that higher grip strength corresponded with indicators of younger biological age in different population groups. Co-author Dr Serguei Scherbov, also from the IIASA, said: “We found that based on this survey, a 65-year-old white woman who had not completed secondary education has the same hand-grip strength as a 69-year-old white woman who had completed secondary education. Previous research has shown that simply measuring the number of years people have lived does not provide an accurate picture of biologically how old they are. A giant meteor struck Canada within the last 70 million years, creating a crater five miles (8km) wide, scientists believe. The force of the blast in southern Alberta would have been powerful enough to destroy present-day Calgary. Seismic surveys have revealed a ring-like structure in the Earth’s surface at the impact site near the hamlet of Bow City. All that remains today is a semi-circular depression five miles (8km) across with a central peak. 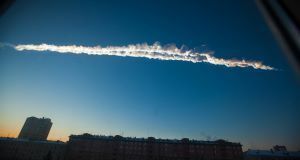 Wei Xie, from the University of Alberta, said: “An impact of this magnitude would kill everything for quite a distance. If it happened today, Calgary (124 miles/ 200km to the north-west) would be completely fried and in Edmonton (310 miles/499km north-west) every window would have been blown out. When it formed, the crater probably reached a depth of up to 1.5 miles (2.4km), said the researchers, whose findings appear in the journal Meteoritics & Planetary Science.